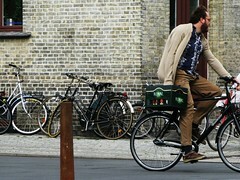 Another lovely advert blending bikes and beer. What a great mood. It's a brewery in the States called New Belgium and their Fat Tire Beer. 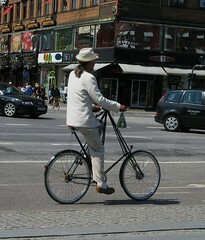 I had a quick look through my photo archives for "beer, bike" and found these photos I've taken. Which has nothing to do with anything, really. 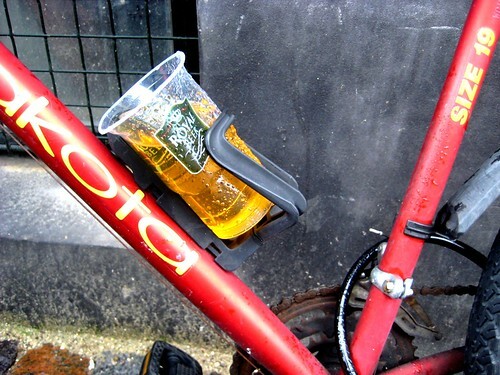 But beer and bikes are big in Denmark. Separately or together.